Since ancient times, large gardens have been used for growing vegetables, flowers, fruits and medicines. These gardens are called herb gardens. 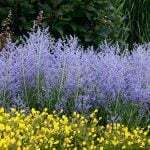 Some common plants grown are rosemary, parsley, sage, marjoram, thyme, mint, rue, angelica, bay and basil. Herb garden designs can be useful or ornamental depending on the kind of plants grown in them. Culinary herbs are the most popular herbs like rosemary, parsley that are very easily grown and contains both annual and perennial varieties. You can also grow medicinal herbs but extracting the medicines from them is not an easy procedure. 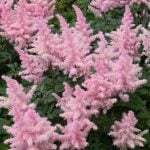 Ornamental herbs are the otherwise useless herbs, which have shown to have no medicinal value, but because of their beauty or just to add soft foliage to the garden they are still grown. For beginners, container herb gardening is the best bet. 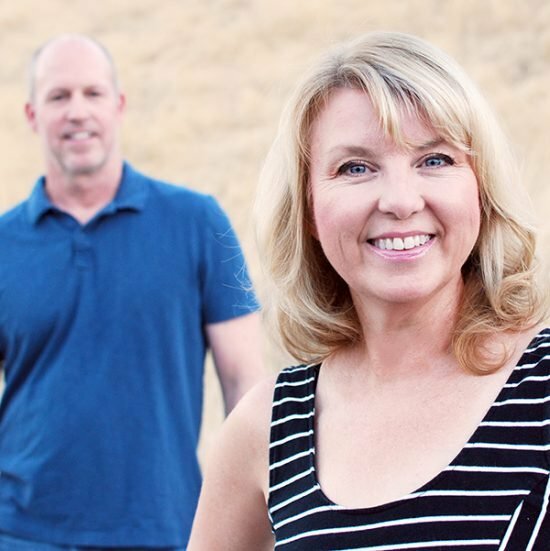 They are very easy to manage and are flexible enough to be changed often. Pots or containers of different color, pattern and texture add a character to an otherwise dull and green garden. Some herbs like rosemary, which are better to keep indoors during winters, can be brought in without any fuss. Containers are easy and fun to use and soil mixtures can be adjusted without much hard work to suit specific plant needs. 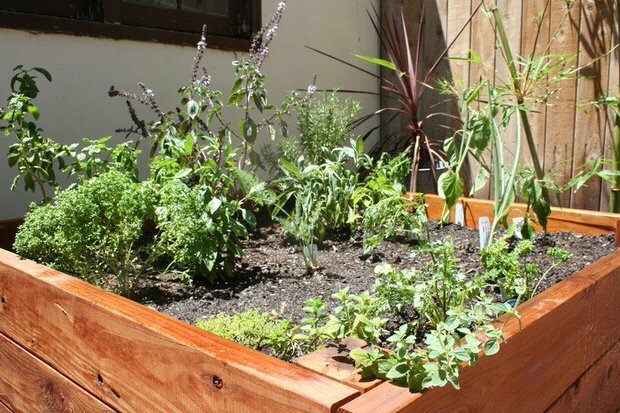 Somewhat related to container herb gardens, raised bed gardens are a great herb garden design technique which allows us to amend the soil, since many herbs require more drainage than what the soil can allow. 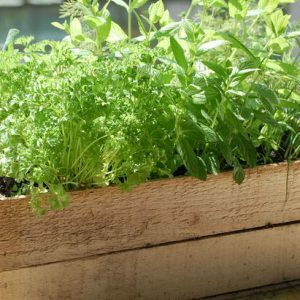 Plants like mint or weed can prove troublesome if planted loosely without planning, and this is where raised bed herb garden designs help. This design gives the garden a formal and elegant look. 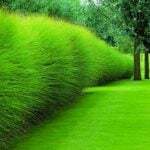 You have to simply segment your garden into different areas for different herbs you plan to grow and hedge them in. The most popular plant used for hedging is the dwarf English boxwood. Large boxwoods can be used at the corners and junctions to add height and visual interest and a sculpture or sundial would give a nice finishing touch. Planting of herbs in threes and fives allows the eye to register the plant and move over to other groups without troubling our vision. This is a common technique used in most herb garden designs. Roses are one of the earliest and original inhabitants of the herb gardens. 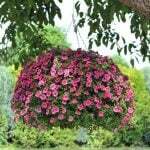 They prefer drier and sunny conditions and the foliage of the herbs provides a perfect foil for the rose blossoms. Rosa rugosa is a great rose for the herb garden both historically and aesthetically. 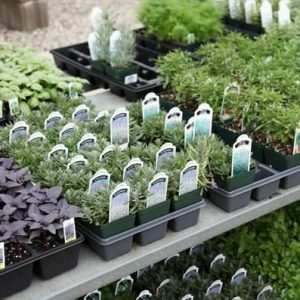 Herb garden designs are not too hard to maintain and can be done even by a beginner who would acquire the skills in the process. All level of skilled gardeners can try their hand in herb gardening and enjoy its simple yet effective results.